Sterling silver square charm necklace personalized with a name, date, monogram or initial. The signature charm makes a classic statement to wear close to heart. 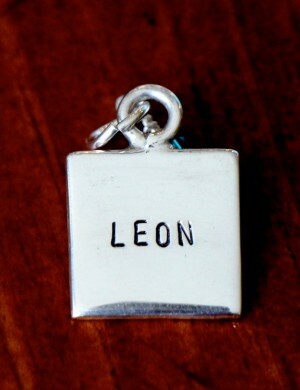 Signature square charm measures 5/8″. 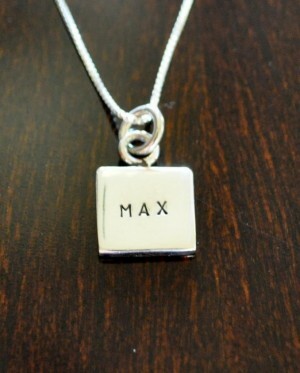 Personalize with up to two lines with five characters each. 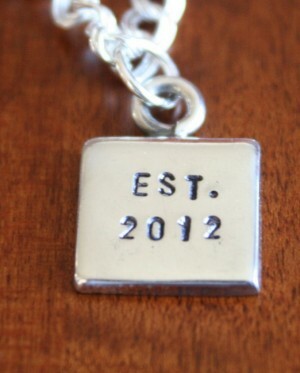 Categories: Classic Hand Stamped Necklaces, Collections, new.